With men spending more on personal grooming, barbershops are well placed to outperform unisex salons. The Canadian hairdressing market continues to show modest but steady growth with an equitable mix of chain salons and independents. This is a sector where independents can readily compete with chains by offering exceptional service and exploiting the benefits of a prime location. Men’s hairdressing is a robust growth area with growing demand for wet shaves, more elaborate styling and a widening range of other services. Like any other hair stylist, a barber’s work involves style consultation, haircutting and styling, hair-washing and the application of hair dye. However, their real USP is in wet shaves and moustache/beard trims. Other specialist services might include massages, facials, waxing or laser hair removal, eyebrow trims and hot towel shaves. The maturation of this market has raised customer expectations about the sophistication and range of treatments and hair care services on offer. As the Canadian economy continues to outperform other advanced economies (at the time of writing), the sector can expect demand for premium services to carry on rising – good news given that barbershops tend to position themselves as more specialist, with higher prices, than unisex salons. With men taking their grooming regime more seriously than previous generations, "guys recognise it's a skilful profession quite different from a women's hairdressers," a UK-based barber told the Guardian. Echoing these sentiments, Mike Taylor, director of the British Barbers Association, said: "Men are looking after themselves a lot more and have finally realised that the barber is the best person to cut their hair, not a hairdresser." Certain segments of the market are sensitive to new, usually celebrity-driven fashion trends. A prudent owner should monitor these trends so they can give customers what they want and showcase the latest styles in their marketing images. Jon Roth, owner of the Crows Nest Barbershop in Kensington, Toronto, said in 2016 that demand growth in the last two years “has been insane”. After the rise of unisex salons in the 80s and 90s, he noted, African-American culture popularised the concept of barbershops as community hubs. “That’s what you strive for: to have people dropping by, hanging out,” he told the Globe and Mail. Toronto-based Salon Magazine is an influential hairdressing magazine with a broad focus and lots of information on education, news and events. The Stratosphere Salon Marketing Plan by Jessica Greschner, meanwhile, explores a range of marketing issues associated with setting up a hairdressing salon. You need to be certified before you can legally display a barber’s pole and operate as a barbershop. In Canada, each province has a regulatory body that grants licences conditional on experience and qualifications. Membership of your provincial barber or cosmetology association usually includes monthly newsletters with information on hairdressing trends and techniques. An app called Resurva that handles appointment bookings for small businesses is particularly popular among barbers, many of whom don’t “have a computer, and just had a phone or an iPad or something,” says James Hamilton, who runs the company behind the app, Offshoot. The appointment booking and scheduling app takes barbershop owners 15 minutes to set up, sends text/email reminders to customers and integrates with point-of-sale software or online storefronts like Shopify. 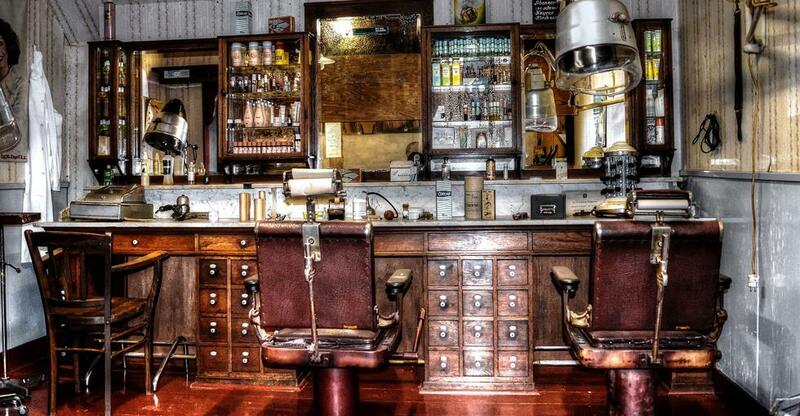 Buying a barbershop as a ‘going concern’ avoids some of the costs and risks of starting up your own business. A barbershop based in an area with high footfall will obviously get more passing traffic and attract a higher price. Nevertheless, a reputable establishment in a less auspicious spot can still thrive through repeat business, as customers often remain fiercely loyal to a barbershop they trust. In fact, they’re often loyal to a particular stylist. It’s therefore vital that you assess the skills of existing staff and the likelihood that they’ll stay on under new ownership. More important still, how vital was the outgoing owner’s talents and charm to the business’s fortunes? His or her skills you will definitely not inherit.